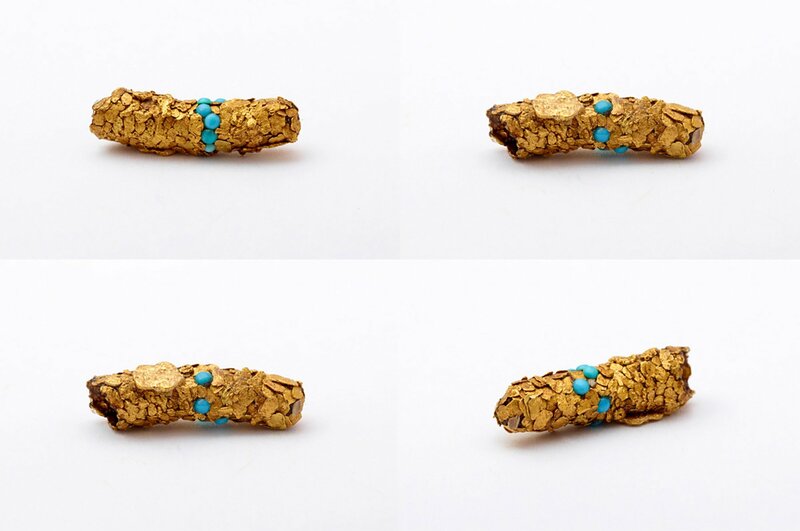 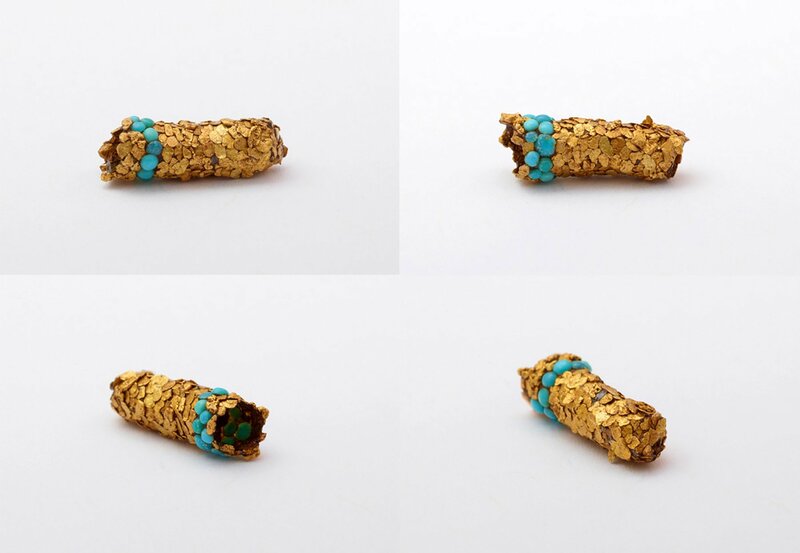 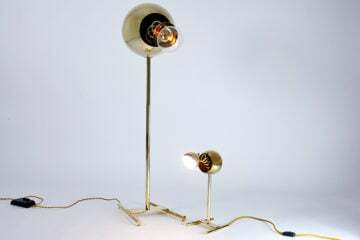 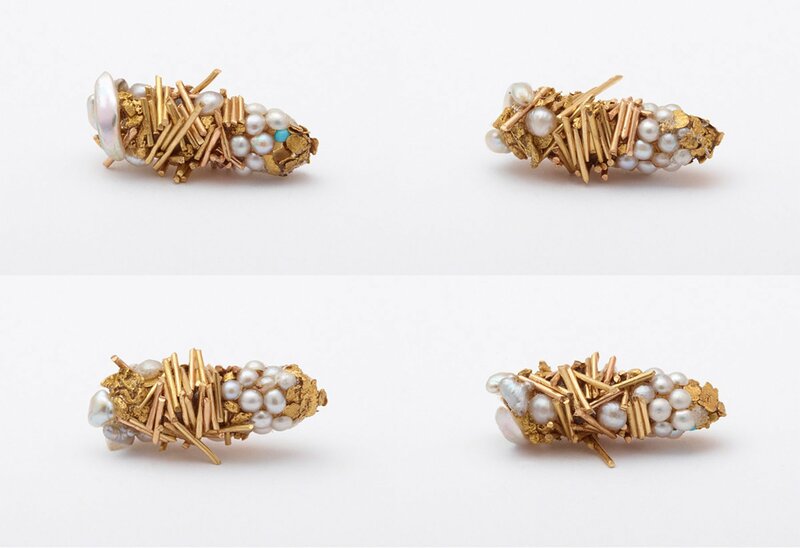 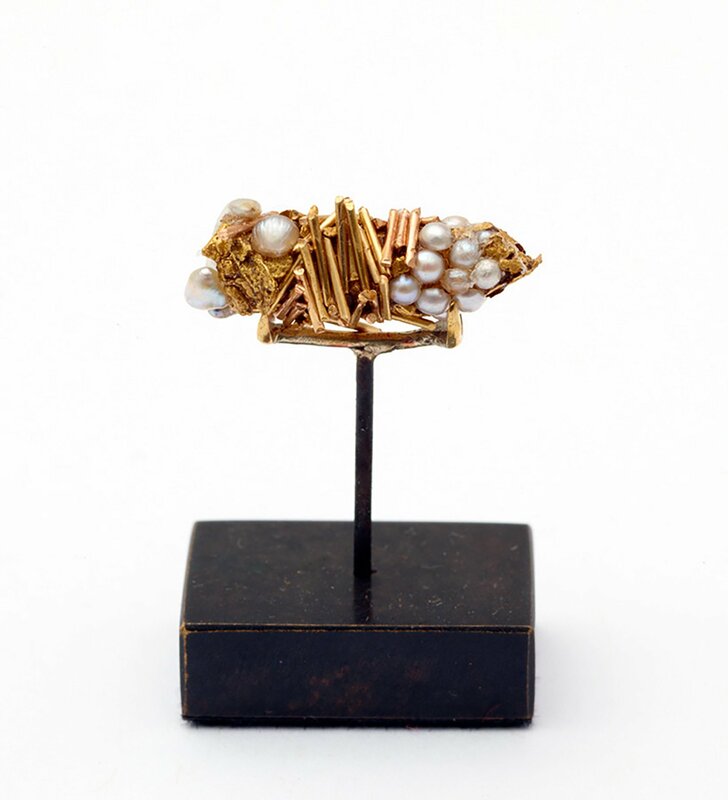 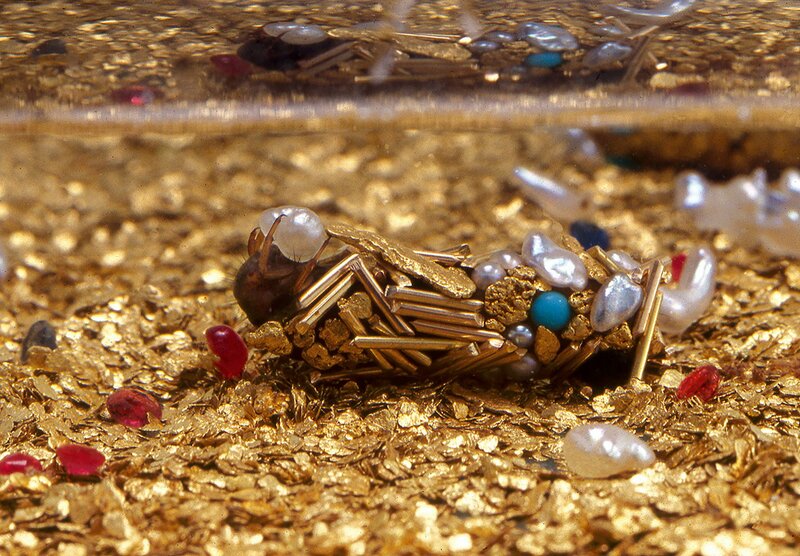 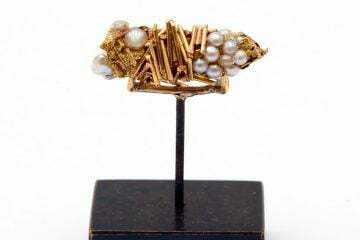 Caddisfly larvae craft themselves cocoons from gold and precious stones in ‘Trichoptères’, a work facilitated French artist Hubert Duprat. 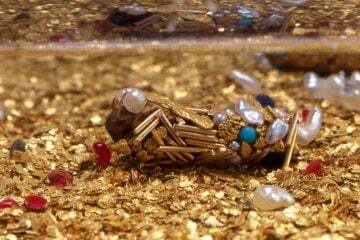 The larvae of caddisflies can be found in almost every freshwater body of water in the world. The aquatic nymph of the insect crafts its cocoon from silk; strengthening the protective covering with gravel, sand, twigs, plants, and other debris gathered from the water. 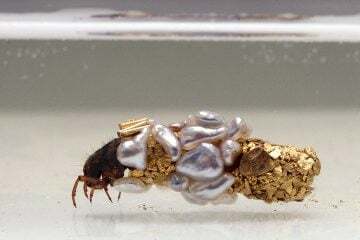 Once complete, the caddisfly spends three weeks inside the cocoon before breaking out and flying away—metamorphosis complete. In his work with caddisflies, Duprat provides their larvae with small grains of gold and precious stones in place of gravel and debris. 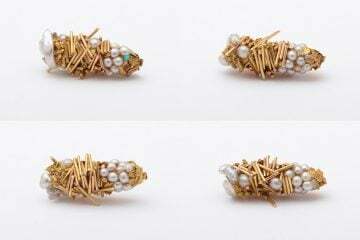 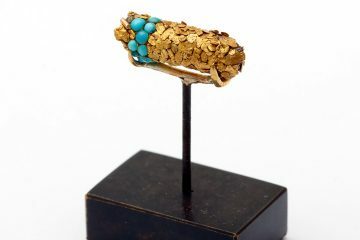 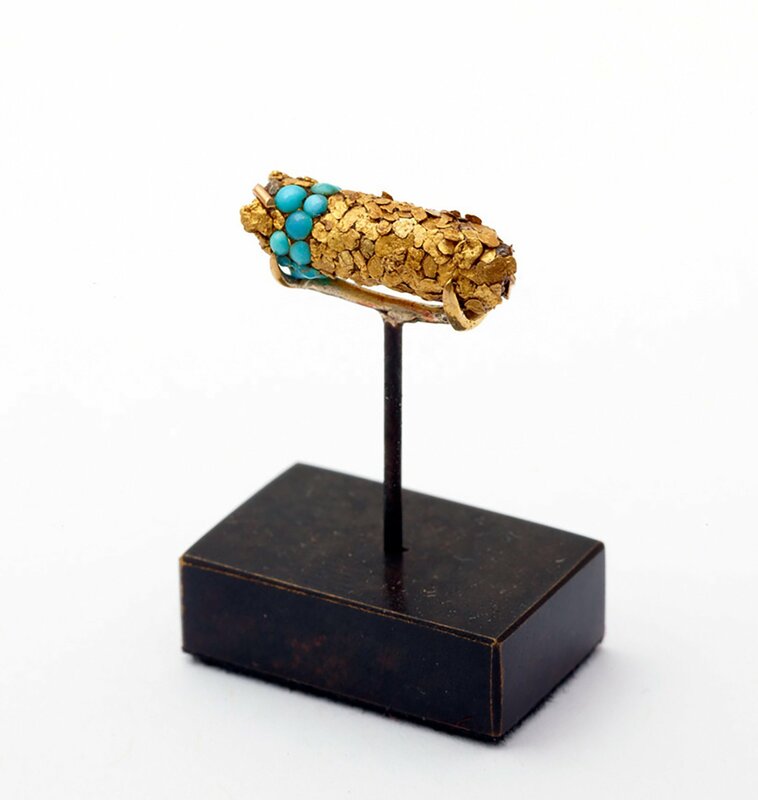 The larvae seem to show aesthetic intent with their organization of these; turquoise stones wrap perfect rings around the gold, and pearls cluster together. 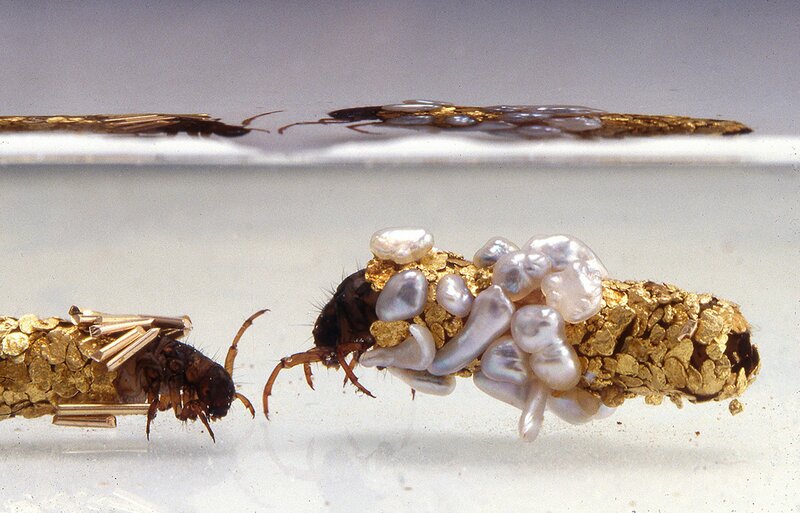 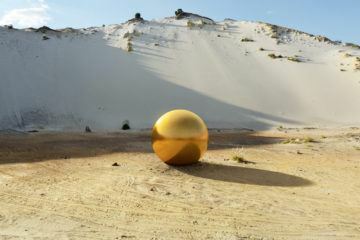 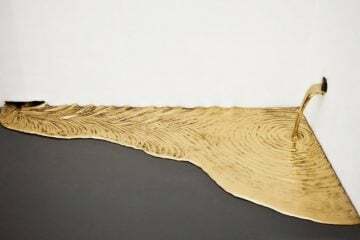 ‘Trichoptères’ becomes a series of tiny golden jeweled sculptures held together with silk, crafted by nature with only the smallest assistance from man.